Check us out on Google+ Today! Our expertise with locks and keys extends to ignition replacement in Allentown, PA. Depend on DMI Locksmith Inc. to have the parts and expertise to install a new ignition in your car, no matter what time of the day or night you need one. We provide 24/7 car locksmith service. Contact us today to get into your locked car or to make new keys for your car, even dealer keys. Our locksmiths can get to you within 15 minutes no matter where you are in Allentown, Pennsylvania. Why Do You Need a New Ignition? With every turn of the switch, your car's ignition undergoes minor wear and tear. Some car ignitions last a lifetime, while others need to be replaced due to broken parts, worn wafers, or electrical problems. A bad switch is no match for our experienced car locksmiths. Allow us to install a new ignition switch when you can't start your car. Not all locksmiths are able to replace car ignitions. The job takes experience and training. In addition, not all ignitions are created equal. They vary greatly depending on the make, model, and year of the car. When we provide service, we will gladly explain the entire procedure and answer any questions you may have. For the security of our customers, we also require proper ID before beginning work. Our locksmiths replace all types of ignitions. At the same time, we can also create a brand new key for you. 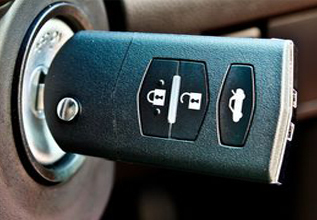 We replace the malfunctioning ignition and duplicate complex chip keys, such as dealer keys. In addition, you'll enjoy prompt 24-hour emergency service whenever you need us. Our vehicles are fully equipped with the high-tech tools to install any time of new car ignition. Using safe practices and reliable services, we never damage your vehicle in the process of installing a new ignition. This is critical whenever providing ignition replacement services. Some locksmiths use forceful tactics to remove an ignition. This can actually cause significant damage to your ignition system or car. Our technicians work carefully and always use the best equipment and methods to do the job correctly. Pittsburgh, Oakland, Fox Chapel, Monroeville, and Cranberry Township, Pennsylvania.